Using one font for everything is boring and doesn’t allow certain sections of texts to stand out. Using too many fonts creates distractions and a rocky transition from one to the other. Balance is key when it comes to figuring out how many different fonts you want to include, the magic numbers are between two and four different fonts. Capitalizing all the words of your text is a terrible idea if you want to make this text readable. It makes the process of scanning slower, it makes the text more aggressive, it makes you less likable. You want people to read your text, so do them a favour and stick with lowercase. The exception to this rule are acronyms, company names or logos. 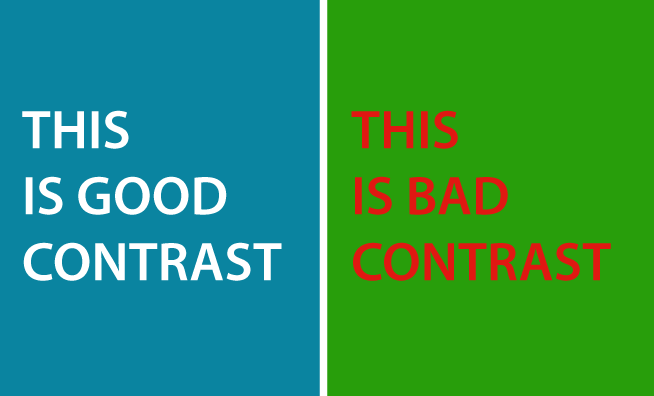 Make sure you are creating high contrast between the text and the background. This is a basic rule but it is worth reiterating because there is just nothing worse than illegible text due to lack of contrast. White space refers to the empty space around a block of text, and it really makes all the difference. Do not cramp your text into a space too small for it, let it breathe. Not only is it more readable, but it looks both sharper and cleaner, isn’t that what you want? Paying attention to these small differences can completely transform how your users interact with your content, so taking the time to improve in these areas will be nothing short of beneficial for your company long term.